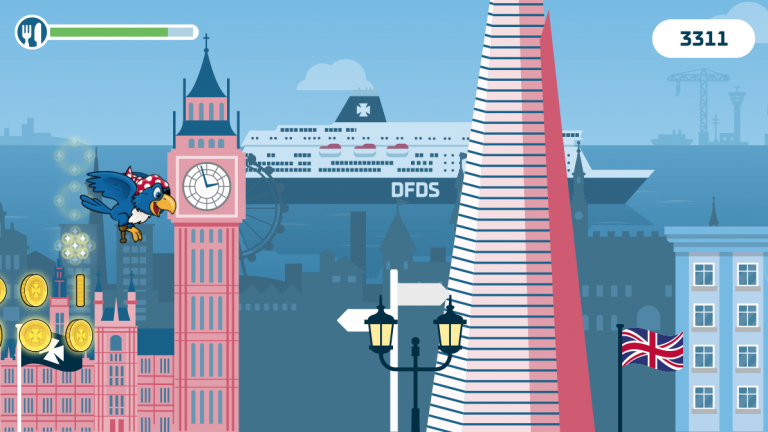 Jack's at it again - travelling around Europe visiting some of DFDS's key destinations, smashing company wide ROI in the process. 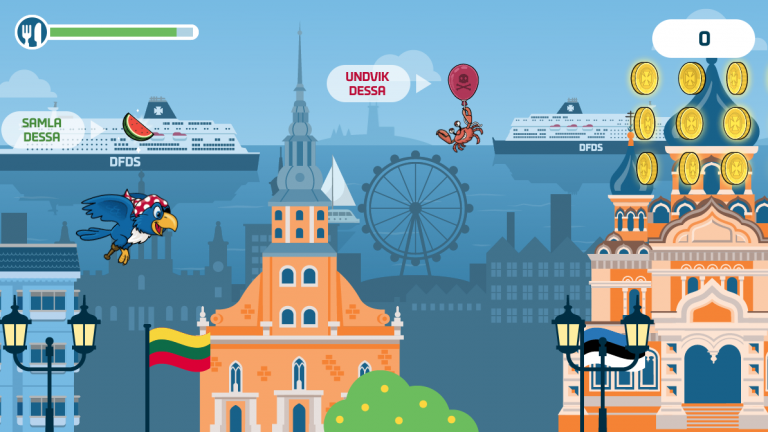 With hit after hit, DFDS were looking to continue on their winning streak with branded games. Only this time, they wanted to go bigger. 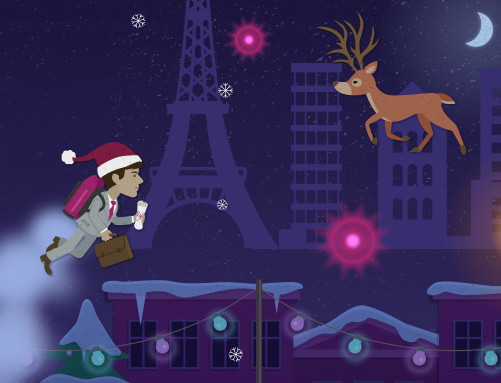 This time they wanted to go global and got a DADI Award nomination along the way! 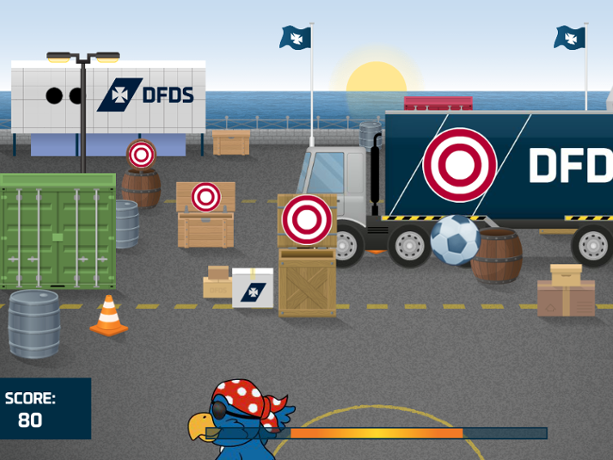 With games well established in key markets across the UK and the Nordics, DFDS wanted to replicate that success across their other territories, 12 in total in fact! 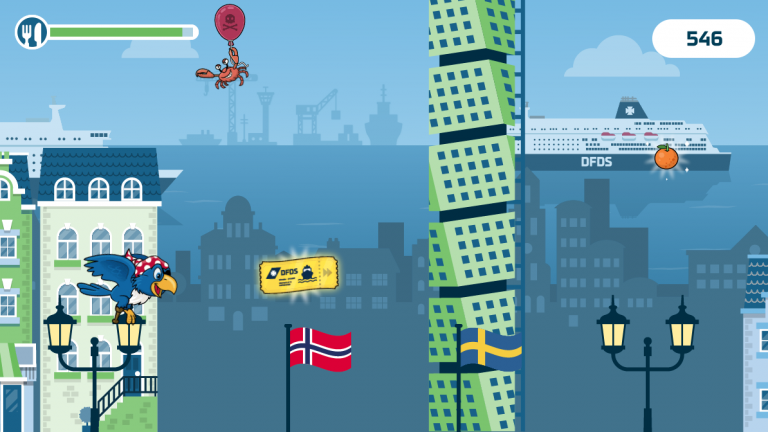 These territories had mixed exposure to DFDS games, so they needed a game that would entertain everyone whilst bolstering sales and boosting marketing lists. 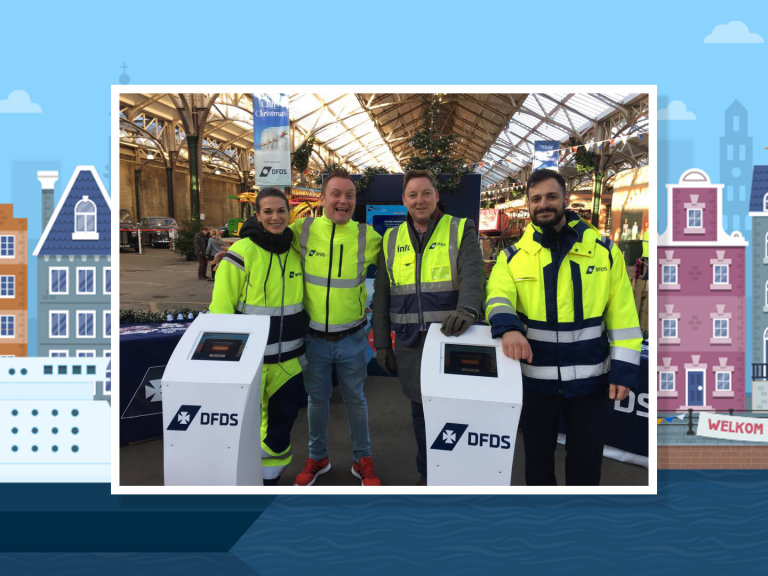 Having starred in a number of successful games and already being a bit of a hit on multiple DFDS Ferry routes, we knew it would be Jack that would win the hearts of these new audiences. 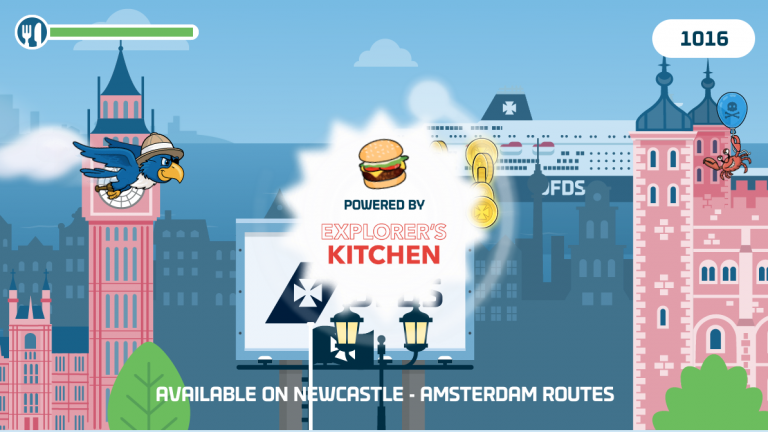 Building on Jack’s Epic Adventure, we had him take to the skies of Europe, travelling between regions and collecting tasty collectables sponsored by route-specific restaurants. 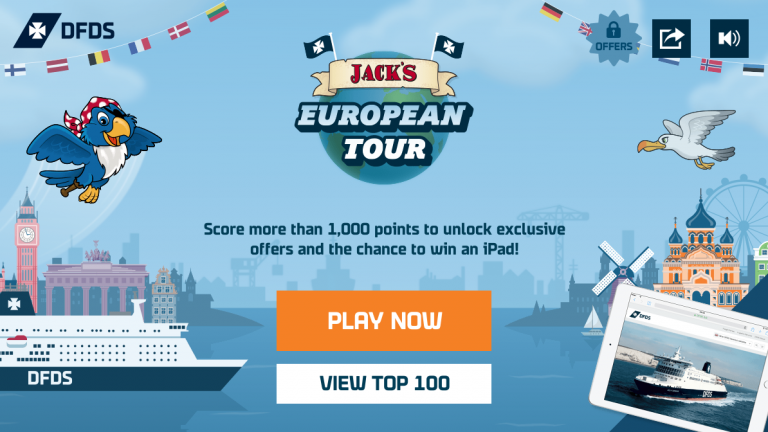 By collecting DFDS golden Ferry tickets, players travelled with Jack to key European destinations chosen to align with the target markets featuring recognisable landmarks as a nod to local players. 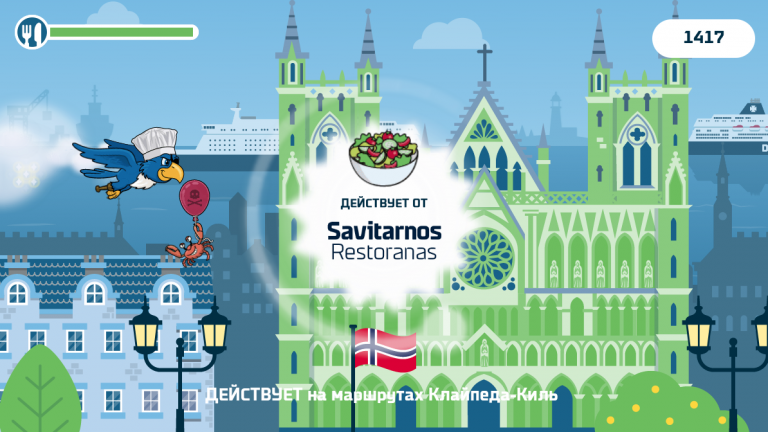 Each territory version of the game had its own unique URL, local language game copy, graphics and UI as well as dedicated leaderboard and analytics to help make tracking stats by territory easy. 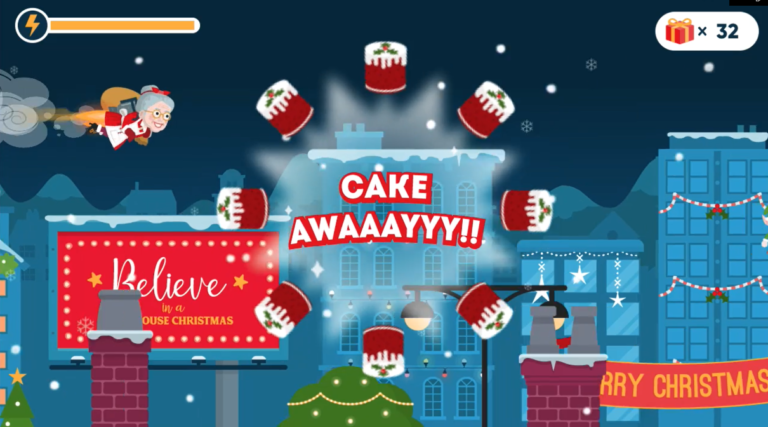 Through re-engagement functionality, players were notified if they were knocked off the Top 100 or if a friend beat their score, encouraging friendly competition and enticing them back to play. This also ensured players were shown the ‘offers unlocked’ screen again and again, increasing the chances of them clicking through. 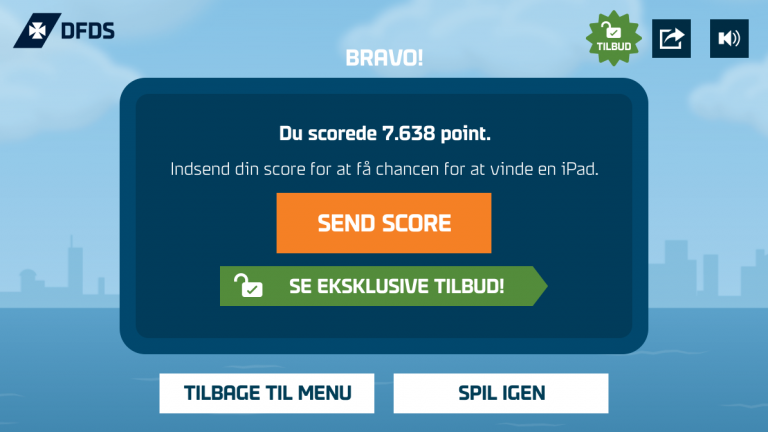 We also included a social sharing panel for players to share their scores directly to social media. 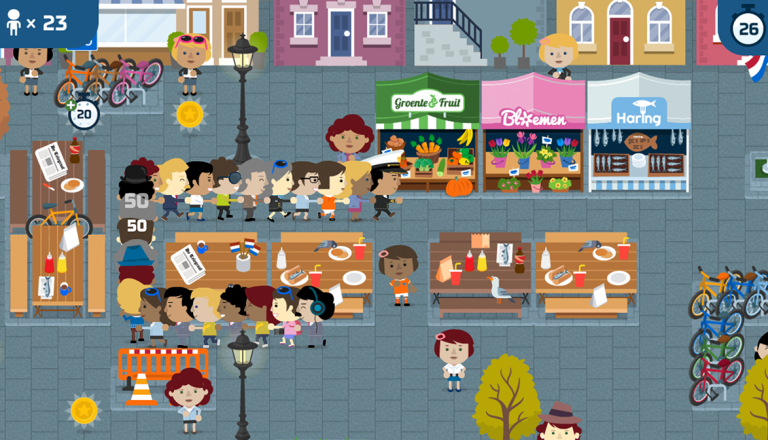 Players could update their social networks on their success and DFDS could enjoy the buzz!